It’s our first Thoughtful Thursday and what better way to start it off than this. 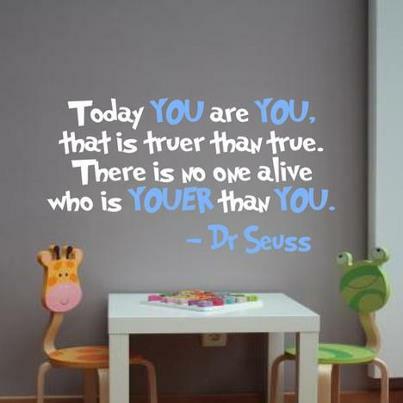 Dr. Seuss has a remarkable way of turning profound concepts into something simple and easy to understand. If you’re over-analyzing who you are and who you are meant to be, just take this advice…and PLEASE teach it to you kids! Be happy and accept yourself for who you are.